I struggled to get my hair to grow for the longest time. I used to half joke that I had little ‘Bermuda Triangles’ at my ends, because I’d see the regrowth from my highlights, but my ends would disappear and my hair would remain the same length. I changed 5 things and within a few months I noticed a significant change. 1. Start with a clean slate. It’s important to get rid of the build up of products. Apple cider vinegar is the best and cheapest way. 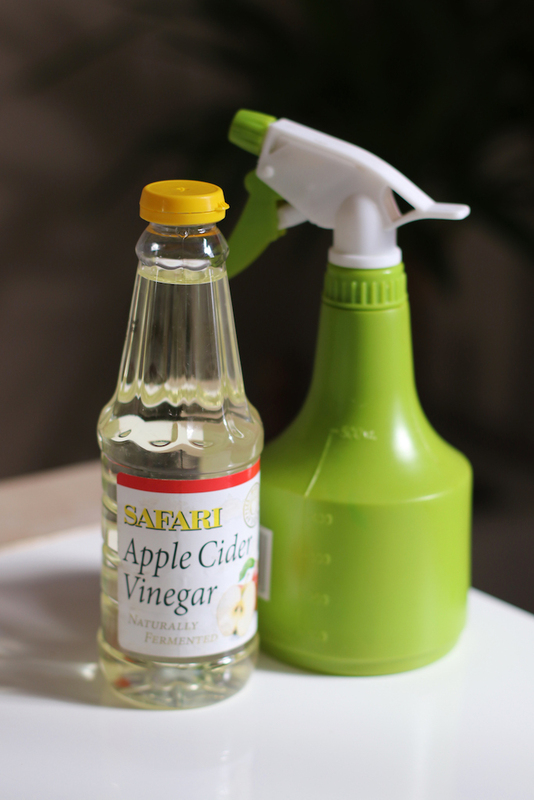 Simply mix one part apple cider vinegar with one part water and then pour the solution into a spray bottle. After shampooing, spritz your hair and massage into your scalp. Let the concoction sit for a few minutes before rinsing completely. I usually put the water off in the shower and shave my legs (time and water saving.) The vinegar smell will fade once your hair dries, and you’ll finally see some shine again. Do this once a week and adjust accordingly, depending on how much product you’ve been using in your hair. 2. Indulge in a hair mask. It’s also best to apply a hair mask to dry hair. When your hair is wet, most of the masks nourishing ingredients slide off your locks and onto the floor of your shower or bathtub. When you apply it to dry hair, it soaks everything up like a sponge, leaving you with a smoother finish. I adore using the Wella hair mask. I alternate between the Repair Mask and the Hydrate Mask. This is what I use on my hair: I love the Wella System Professional products. 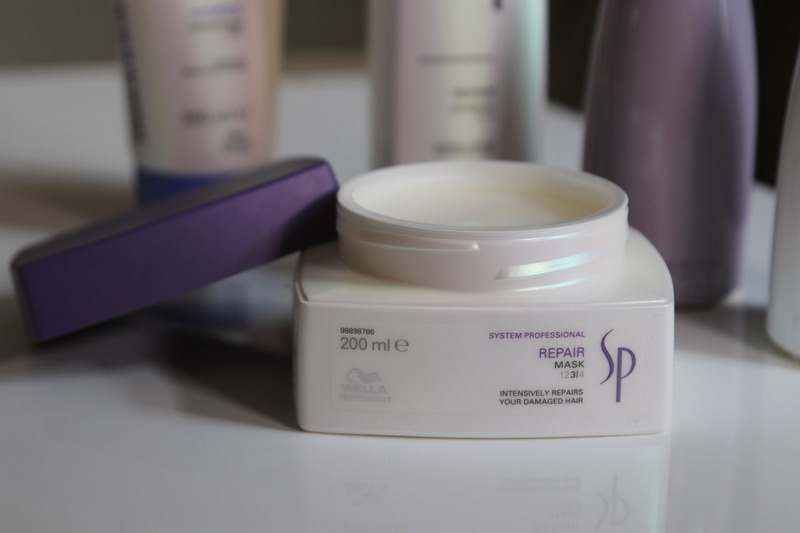 I alternate between mixing the Repair Shampoo with the Hydrate Conditioner and the Hydrate Shampoo and Repair Conditioner. I also love leaving coconut oil in overnight – but you have to ensure you wash it out properly. I’ve written about how I do it here. 3. Replace your towels with t-shirts. Drying your hair with a regular towel can really roughen up the cuticles, which lead to breakage and frizz. Using softer fabric like an old cotton T-shirt or microfiber towel, you’ll get a smoother finish and it will still absorb excess water. I take the T-shirt from the side, so that I’m holding the one sleeve, flip my hair over and then place the t-shirt over my hair, wrapping it around. I then fold the ends into the back. When removing, scrunch your strands from the bottom up, working your way around your head. 4. Aim for 2 days a week and make them your no-heat days. Let your hair dry naturally and if it really is unruly, practice braiding your hair or tie it up into a messy top knot. I have the most awesome messy bun tutorial coming a little later this week. 5. Supplement. I started taking Biotin daily and within a few months of taking it, I noticed my hair growth. I had also done all 4 steps above too, so I’m pretty sure this is a winning formula. Here is my hair after going to Scar Hair 2 weeks ago. 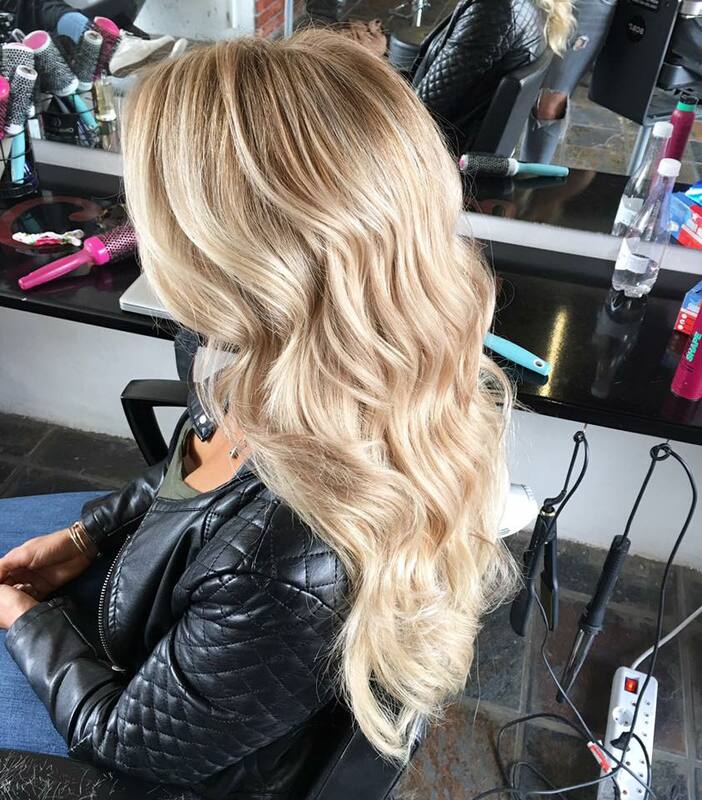 Brittny, my hair stylist, created the Blonde Balayage and gave it a good cut to get rid of all the dead ends! Do you have any tricks when it comes to keeping your hair beautiful and healthy? 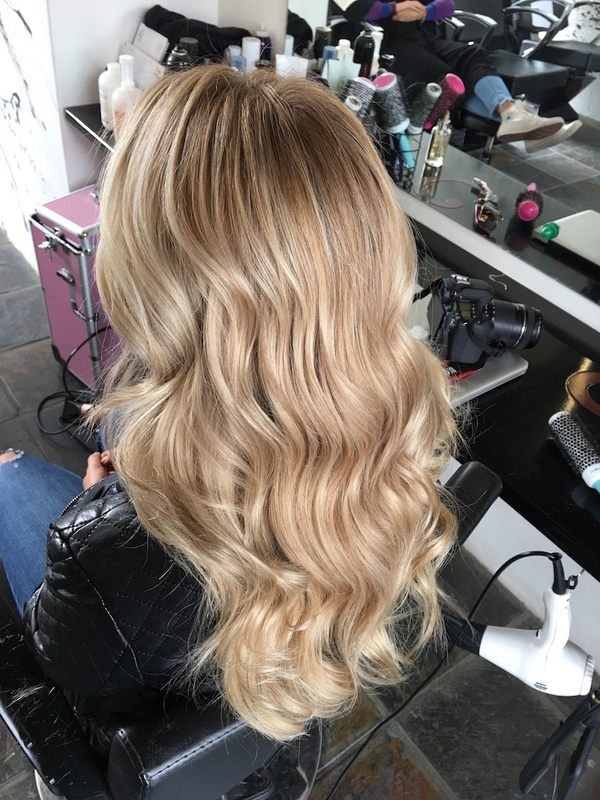 My best hair tip is to avoid heat as much as possible – keeps your hair very healthy! Most definitely! No heat days are so important!! Oh my word your hair looks amazing!!! So luscious! I agree the ACV is life-changing. Definitely going to try the t-shirt drying technique though, have never thought of that. Im all about oil these days – Ive started using either Argon or Coconut oil in my hair after Ive washed and it seems to have helped me a lot. I also use Aussie Miracle shampoo and conditioner which has been more nourishing for my hair than any other type of shampoo I’ve tried (not sure if it is available in SA though) and I stopped “running” my hair dry…I just dab it with a towel after I get out of the shower and wrap it up to absorb the excess water (haven’t progressed to t-shirts yet). 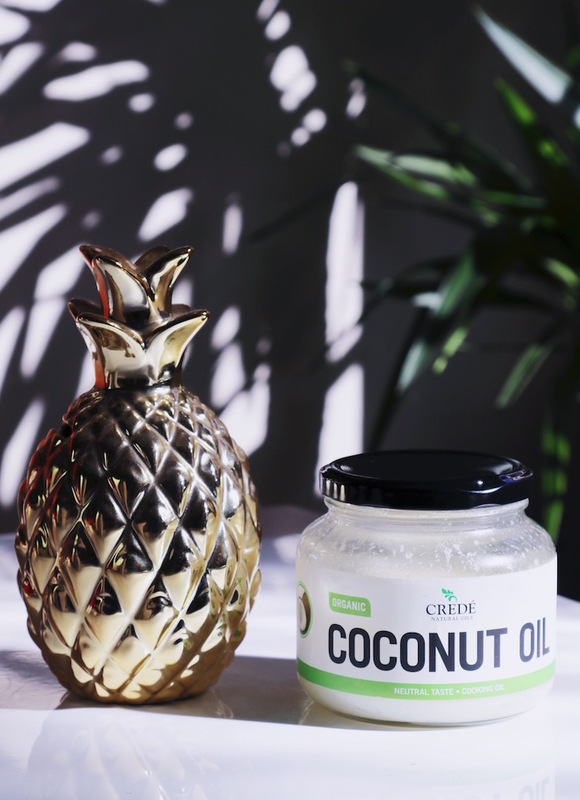 Oh I love the Aussie range too – we do get it here 🙂 I find coconut oil masks to be even more effective than the Argan oil, but I love adding a little Argan to my ends after I’ve dried it. Great tips! Definitely going to try the t-shirt! I am completely in love with HASK products. It is sulphate free and comes in all kinds of formulae such as argan oil, keratin etc. for specific needs. (available at Clicks) My one top tip is to not wash your long hair more than twice a week. I use Batiste dry shampoo on day 3 & 4 if I feel that my roots get too oily. P.S. Your hair looks great! @Charmaine, I am so with you! The Hask range is amazeballs!!! Love the masks! We were in Greece for the summer and the coconut mask saved my hair!!! I wish there was a hairdresser in JHB as good as Brittny, any recommendations? Off to buy coconut oil! I’ve never been sure whether to apply a hair mask to dry or wet hair. Thanks for clarifying! I love how versatile coconut oil is. I have tried the t-shirt instead of a normal towel and I was so surprised at the difference in my hair. Everytime I washed it I thought should I try it or stick to the old towel. I bit the bullet and tried it for the last 2 weeks and wow! I have not seen a difference like this in my hair for a long time. There is little to no frizz and the t-shirt absorbs more water than the towel ever did! I am so pleasantly surprised by this tip, I wouldn’t go back to using a towel again. It really doe make the worlds difference. My hairstylist recommended that I try Folic Acid as well for hair loss/ hair growth. It’s a great supplement and you will see the difference in your hair! I swear by coconut oil, I usually put some in before I swim and then it helps my hair stay protected from the chlorine and it benefits my hair after I finish my swim it’s easier to wash out. Also, I’ve started using hair products from Lush. The red cinnamon solid soap with their “Roots” mask and my hair has been growing better than it has in years.